When Julie Larkey won the Lions Club’s Miss Personality Quest at age 18, the prize was a pair of tickets to Europe via Japan. That trip began a love of travel that would become a career and a lifetime obsession. Julie understands that travel is all about the memories created – memories that touch your heart and stay with you for life. She remembers the sense of adventure as she flew into a Burma not yet opened up to tourism, the grandeur of the Waldorf Astoria in New York City on her 50thbirthday, and the feeling that time had somehow stopped when she arrived in the ancient kingdom of Bhutan. For over 25 years, Julie has dedicated herself to creating those special memories for her many clients. In 1995 she bought the travel agency that is now CFS Travel. 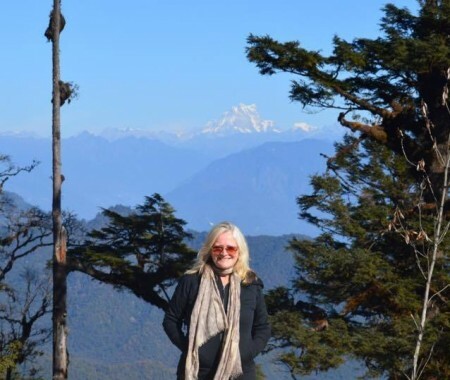 Since then she has scoured the world for the best tour operators, the latest travel hotspots and unexplored lands to help her clients to get off the beaten path and shape trips of a lifetime. When people started to tell Julie, “I want to go on your holidays,” she realised there was a need for fully escorted tours (link) from Coffs Harbour to the more exotic corners of the world. She started by organising trips from Coffs to Bhutan and this year will also run a trip to Mongolia.